a factory practicing skills and did not come. Each introduced him/her self and told us about his/her family situation and current study. They all appreciate our support very much. I was also very happy to see two students Xue Shuangxue and Xu Yinghao who I met years ago at their homes. They semed very happy to see me again too. Above: Shuangxue Xue was born in 1993 and is now 11th grader studying Economy in high school. Ifirst met her in summer 2004 at her home (see above and also here). Her father is over 60 and is weak and not healthy. Her mother is disabled and close to 50. She is in top 5 in her class. She has a chance to take the extrance exam to go to college with specialty in economy related field. She has been supported by Dr. Junyong Zhu and his family since 2004. Looking at the photos, you can see that we have made a real difference to her. Guilan Dan was born in 1995. Her parents died quite a few years ago. She lives with her oldest uncle's family, who are poor farmers themselves. Her grandma died last year. In Spring 2010 while she was still 9th grader, she did not prepare for the highly competitive high school entrance exam. Instead, she came to the Vocational High School to study basic skills of `animal farming' to work in `Five Star Yang Zhi' a local big animal farming company. She does not need any tuition for this study and goes to the company for practice sometime during the semester. She will be hired to work at the company after 2 years of study. It fits her well. Dr. Xun Jiang and her family's support helps her pay fo food. She stays in school at least 6 days a week. Li Zhang (last) was born in 1995 and went to the Vocational High School in Spring 2010 (as Guilan Dan above) to study basic skills of `animal farming' and will work for `Five Star Yang Zhi' as above after graduating. She was adapted by his current father of over 60. His adapted father is physically weak but works hard to help her. Her tuition is also waived by the government. She appreciates our support very much. She hopes to earn enough money after grduation to support her (adapted) father and help him live a happy and healthy life. Xin Feng(last) was born in 1995 and is 10th grade in Ningguo Vocational High School. She has a big family, aged grandparents, disabled father, often sick mother, and a little brother. She studies modern agreculture and thus does not need to pay tuititon (agreculture is encouraged by the government). She is in top 10 in her class and could take college entrance exam for college, which she plans to do. Above (left: 2011, right: 2009): Yinhou Xu was born in 1993 and is in 11th grade in Spring 2011. . 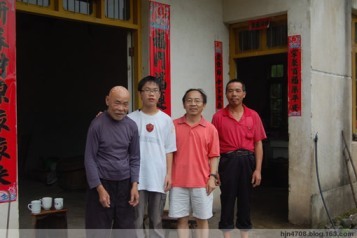 He lives with his grandpa of over 80 and his father who is often sick. His mother died of cancer when he was in 2nd grade. He studies computer science and needs to pay tuition. The school waives part of it and also asks him to do part time job at the `Water House' (helping boiling water) for a little money. He works very hard. He is sponsored by Mr. Johnson. Yin Liu (last) was born in 1994 and is in 10th grade in Spring 2011. Her father had a stroke and can not get off bed yet. Her grandma helps to take care of her father while her mother does odd jobs to support the family. Her sister studies at a vocational college in Hefei. Jin Cheng(last) was born in 1995 and is in 10th grade in 2010-11 studying economy. Her father died five years ago of accident. Her sister is in 2nd grade. Her mother works a local factory to support the family. Yang Hu (last) was born in 1994 and is in 10th grade in 2010-11. His father died five years ago of car accident. He lives with his mother, his older brother, and one of his mom's untie, which has some mental problem. His brother gave up school after his father died and works at home as a farmer. He studies construction and should be able find a job after graduation if he can not get into college through college entrance exam. He was supported by us since he was 7th grade.